Diana Mackie is a professional painter and qualified designer, who has lived on the Isle of Skye since 1992. She has a degree in Interior Design, for which she achieved the course medal, alongside which she also took time to develop her ideas in stained glass at the Edinburgh Stained Glass House, and painting, drawing and sculpture at Edinburgh College of Art. The Three Chimneys Restaurant asked her to be their overall designer for their restaurant with rooms. The brief included designing and making large stained glass panels for the main entrance, the furniture and bar design, spatial planning, external landscaping, and providing oil paintings for specific areas within the buildings. 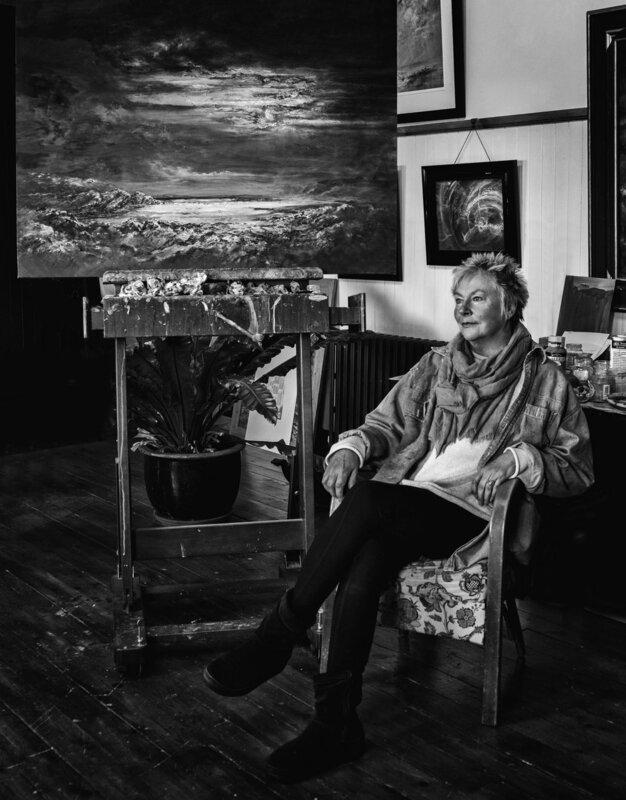 Her home has developed from a small croft house into her working studio and gallery, and oil painting has now become her complete focus. Her client base is both international and within the UK.